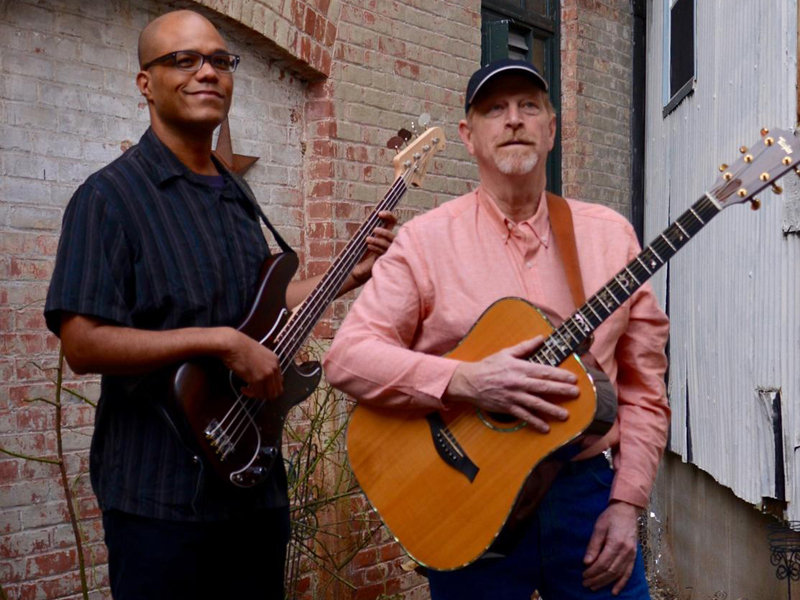 FrankenPhil is the acoustic duo of Phil Newland and Frank Wilson, with literally decades of combined experience. Having played the local pubs for some time, Phil found himself doing solo work and possessing a genuine desire to play as often as possible. He had been playing with a talented bass player vocalist who had decided to reduce his playing time while Phil was feeling the need to perform more often. As luck would have it Frank was looking for a partner. It was June of 2013. Phill had booked himself a gig at "Mystic Village" . It was a side venue run in conjunction with "The Mystic Blues Festival". Frank had a series of jobs booked in fact one that very evening. They agreed to use the morning show as a "warm up/ learning session" doing my set list. Being experienced musicians, they read each other well and the show went off without a hitch. A few hours later they met for gig number two which also came off smoothly. As they progressed they became more comfortable with each other's playing and one day Frank started dropping harmonies on top of Phil's vocals. What a treat !!! I must say Marc Cohn's " Walking in Memphis" in two part harmony is cool ! !